LEADING her side on and off the field is the number one aim for Dandenong Stingrays captain Georgia Walker. 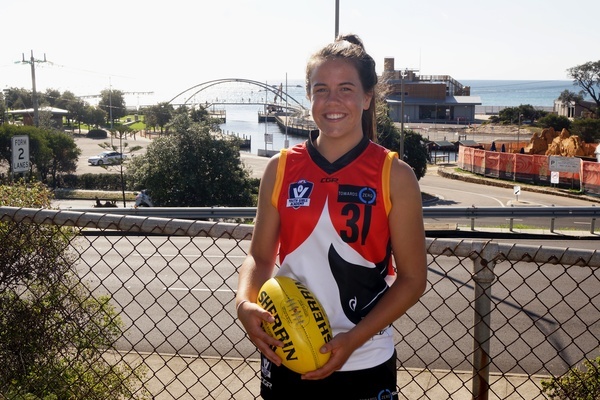 Returning to the Stingrays Youth Girls Academy top mantle for a second year, Walker, 17, from Rye, is keen to push the side to new heights in the inaugural AFL Victoria Youth Girls Academy Challenge, starting Sunday 21 February. Walker, who will be supported by Stingrays vice-captains Jordy Allen and Taylah O’Hagan, did not expect to receive the job once again but was thrilled to get another chance to take the Academy reins. The Academy Challenge is a new direction for the Youth Girls program, moving into a home-and-away season for the first time in the history of the girls’ game. It’s a small step for year one, but Walker was thrilled to be part of the new-look competition and see what the Stingrays can do on the bigger stage. It’s so exciting – I can not wait,” Walker said. “Last year we only had the carnival with the couple of games on the weekend and that really took a toll on the body … but for it to be similar to how the boys play and actually have the home-and-away games too. From pulling on the boots as an eager junior all the way to the peak of her junior football, the rapid growth in the game has astounded the fleet-footed midfielder. That growth – especially from the juniors making their way in the game – has kept Walker on her toes as she knows last year’s standard just won’t cut it. “The talent that had come through this year, it’s stepped up immensely,” Walker said. “The fitness of the girls, the intensity, the ability to kick and the basic skills – it’s really exciting to see. Walker encouraged local footy fans to get along to Frankston next week and support the side in its debut match this week, as the Stingrays are set to play a fast-paced and physical brand of football. But it’s not just the on-field success that drives her. Creating a culturally sound and inclusive club for junior girls or the graduating senior players alike is Walker’s aim. “Last year was the first time I’ve ever been captain in anything, so that was really cool, this year I want to have more confidence in myself being a leader,” Walker said. “When I first started as a 14 or 15 year old, I was quite intimidated by the older girls so I want to be able to bring the group cohesion and bring the group a lot closer together so the younger girls feel welcome. 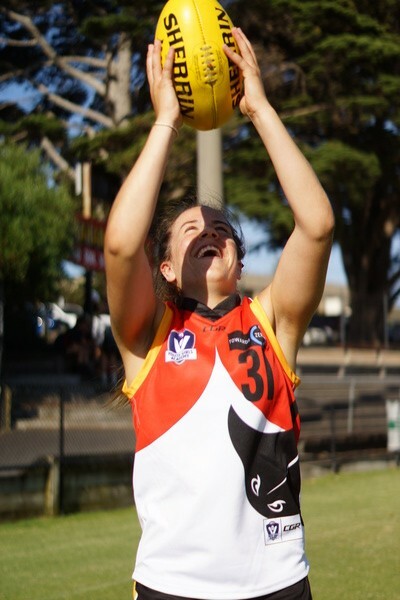 It starts a hectic year for Walker, who is set to play for Rye Youth Girls, attempt to make the Vic Country squad as well as get a few games for Seaford in the inaugural Women’s VFL competition. The Stingrays Academy starts its season on Sunday 21 February, at Frankston Oval at 10am, against Sandringham.